The Sitka-based company started running multi-night expedition-style cruises in 2011 after David Allen, of the established boat-building and touring firm Allen Marine, acquired several Cruise West vessels. Allen Marine had long offered whale-watching daytrips out of Juneau, Ketchikan and Sitka; now Alaskan Dream Cruises specializes in overnight voyages with a strong cultural component. This catamaran is perfect for optimal wildlife viewing, with extra-large windows in its cabins and public areas, plus an observation area that encompasses the entire top deck. Typical for an older expedition ship, cabins are small, ranging from 74 to 135 square feet, bathrooms are tiny and there is no Wi-Fi or television. The 74-passenger Chichagof Dream, the fifth small ship launched by Alaskan Dream Cruises, is an intimate four-deck vessel but the largest in the fleet. What Baranof Dream lacks in luxury, it makes up with hominess, with a friendly, laid-back staff and events that include a daily cookie hour and Alaska-themed bedtime stories. Alaskan Dream Cruises operates cultural and wildlife-focused programs aboard three ships, Admiralty Dream, Alaskan Dream and Baranof Dream. A fourth ship, Chichagof Dream, has been purchased and will launch in 2016. The Sitka-based company focuses on exposing passengers to the "real Alaska." (One of the owners is part Tlingit.) Everything from the beer to the bath products comes from local providers. Although all meals are served to order, the ambience is casual, with no dress code, open seating and friendly, laid-back staff. As with most small expedition-style cruises, the ships are more bare bones than a typical cruise, with one lounge and prime real estate devoted to viewing the scenery. (However, the company does provide rain gear, including boots). The cruises strike a balance between outdoor adventures, port tours and wildlife sightings, and passengers are encouraged to unplug; none of the ships have TV or Wi-Fi onboard. Most passengers participate in daily shore excursions, accompanied by staff expedition leaders. Itineraries are considered fluid, and time spent onshore -- often in small ports such as Kake and Petersburg where the large cruise ships can't or won't go -- can vary depending on tides, wildlife and the tenor of the passengers. 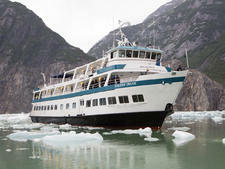 The typical Alaskan Dream Cruises customer is drawn to the line's authentic atmosphere and culture-based itineraries. Most passengers are in their late 50s, 60s and early 70s, with a few adult children accompanying their parents. While most passengers are American, the line is beginning to draw from overseas, including South Africa, Australia and Italy. The company also has name recognition within Alaska; as a result, there are almost always a few Alaskans onboard exploring their own state. 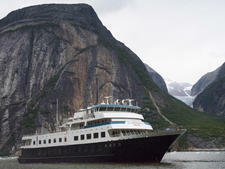 Alaskan Dream Cruises has six expedition ships in its fleet, with Misty Fjord being the most recent to join the line. 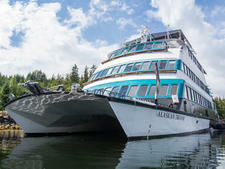 The first ship to launch, 38-passenger Alaskan Dream, is an Executive Explorer catamaran formerly owned by Majestic America and Glacier Bay cruise lines. It was followed by Admiralty Dream, formerly Cruise West's Spirit of Columbia, which has cabins for 58 people. Both started sailing in 2011. Baranof Dream is another former Cruise West vessel, 49-passenger Spirit of Alaska. It entered service under the Alaskan Dream banner in summer 2013. 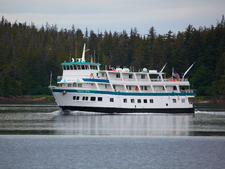 The line's fifth ship, 88-passenger Chichagof Dream, was acquired in 2013. Formerly called Nantucket Clipper, the ship is undergoing renovation and will launch in 2015. Kruzof Explorer, the last ship to be added to the fleet, was a Bering Sea crab fishing boat turned expedition vessel, that will explore bodies of water few venture. The vessel carries high speed zodiacs, kayaks and paddleboards. Voyages with Alaskan Dream range from eight to 13 days, all centered on the Inside Passage. Expect stops in typical ports, such as Skagway, Juneau and Ketchikan, as well as visits to Tracy Arm and Glacier Bay. All itineraries include at least one stop in a smaller Alaskan city, such as Wrangell, Gustavus or Petersburg, in addition to stops in mostly Tlingit towns like Kake or Kasaan.